This has been a good weekend for a variety of reasons. First is the result from Ireland, where the population voted overwhelmingly to make marriage available to everyone. This didn’t sit well with either of us for a variety of reasons, and we asked our celebrant if we could change ‘man and a woman’ to ‘two people’. However, we were told that our marriage would not be considered legal if we did not include these exact words and, while she didn’t agree with the sentiment either, if we wanted to be married, we had to say it. So of course we got married. We’d already booked the venue, started planning and I think had even sent out invitations, so it wasn’t really something we could cancel. And we wanted to be married, very much. So it is wonderful to hear that another country has now made it possible for people who love each other to be married, regardless of gender. Love, after all, comes from the heart and I feel we should all be free to express our commitment to another person. So come on Australia, get on board! 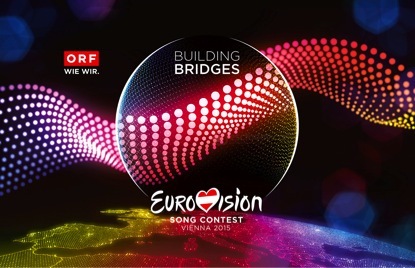 The other wonderful thing about Saturday was the Eurovision Song contest. I love it and watch it every year, and now my daughter is hooked too. So we got our snacks, pulled out the couch and prepared for several hours of kooky European musical goodness. We had our favourites from the semi finals (Israel, Serbia), and we both thought Sweden was a deserving winner. And we were thrilled to see the Australian entry by Guy Sebastian. But our overall favourite ended up being Belgium’s Loic Nottet with ‘Rhythm Inside’, a hypnotic finger snapping beat with overtones of Lorde – it’s on my Itunes as we speak. I had a message from my US based sister-in-law just before the show started and, when I mentioned I was watching Eurovision she decided to watch too, even though she’d never heard of it before (and this is a woman who knows a lot about music). We pinged messages back and forth, laughing at it all. Around song 20 I messaged her asking if she was still watching. Her response was that not only was she watching, she had put aside her whole day to watch it until the end. 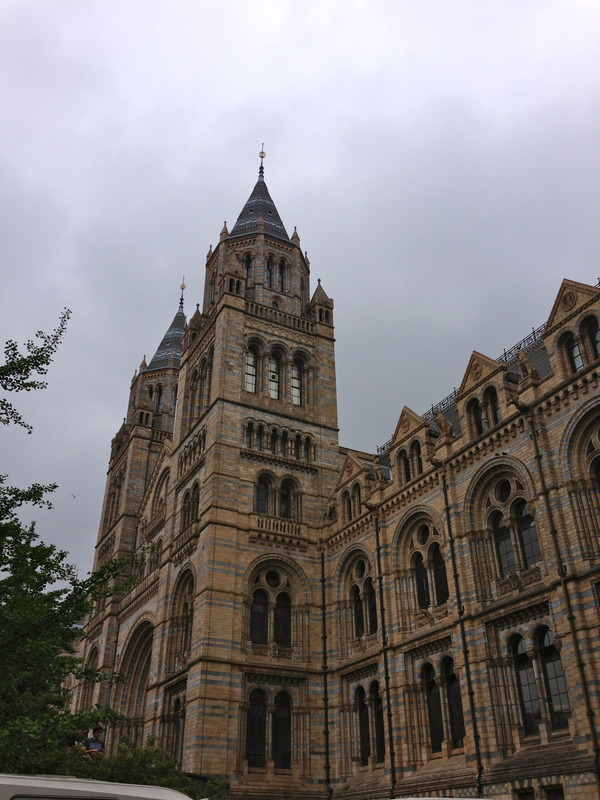 Natural History Museum and traditional English Bank Holiday weather. Yesterday brought an impromptu visit to the Natural History Museum in London – we don’t live too far away so it was a case of hopping on the train and going. It was great, though very warm inside. I was thrilled to find that the earthquake room that had so terrified me when I was eleven was still there, though updated to reflect the recent Kobe quake. The gorgeous child loved it all, pressing buttons and answering questions, mesmerised by fossils and rocks and dinosaur bones, while I found myself drawn in by the intricately carved walls and ceilings, the building itself as much of a draw as the exhibits. We stood for ages at a coral reef tank, watching brightly coloured fish dart and swim as prawns hid under rocks, hermit crabs with electric blue legs shuffling across the sand. Afterwards we sat outside in the soft English rain, finding a bench under a spreading plane tree as we ate sandwiches and drank tea. Children ran around on the grass, one with big dinosaur hands chasing another clutching a stuffed dinosaur, another little girl with binoculars naming everything she could see. And as I sat there with my two favourite people, looking at the beauty of the building, the children and even the misting rain, I felt one of those moments of happiness when all is right with the world. 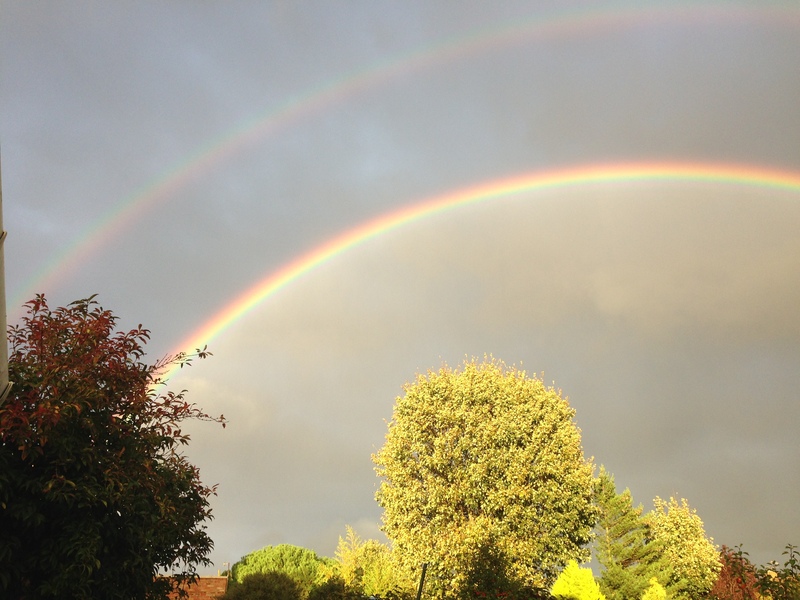 That was my weekend so far – how was yours?